Welcome to UBT, an online interactive utility bill auditing, tracking and analysis service for retail end use customers. The UBT service enables you to track utility data for one or more facilities in one or more geographic areas. 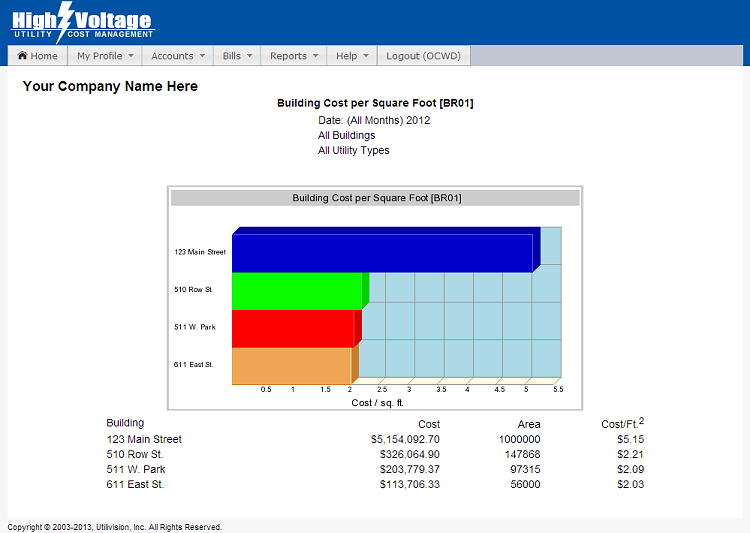 With a wide range of reporting capabilities, benchmarking results of demand side projects like lighting and HVAC retrofits has never been easier. 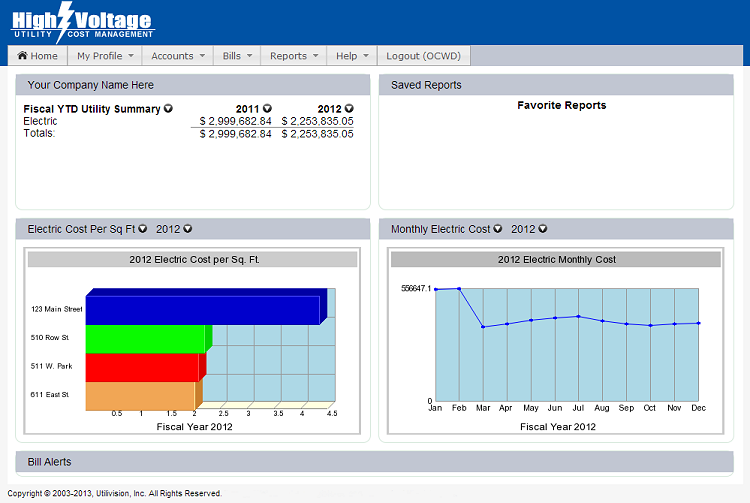 As a customer of High Voltage you will have access to this powerful interactive tool to assist your company with tools for forecasting utility budgets and measuring results, all with a password protected login. 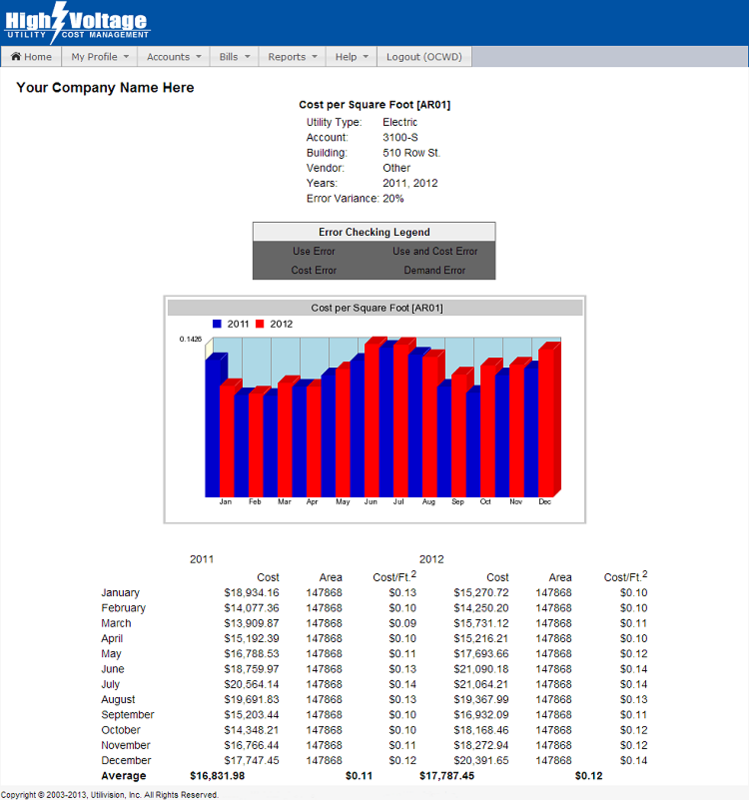 The Dashboard allows you to view fiscal summary data for each utility year to date and choose your favorite reports to view when you log in to your UBT account. 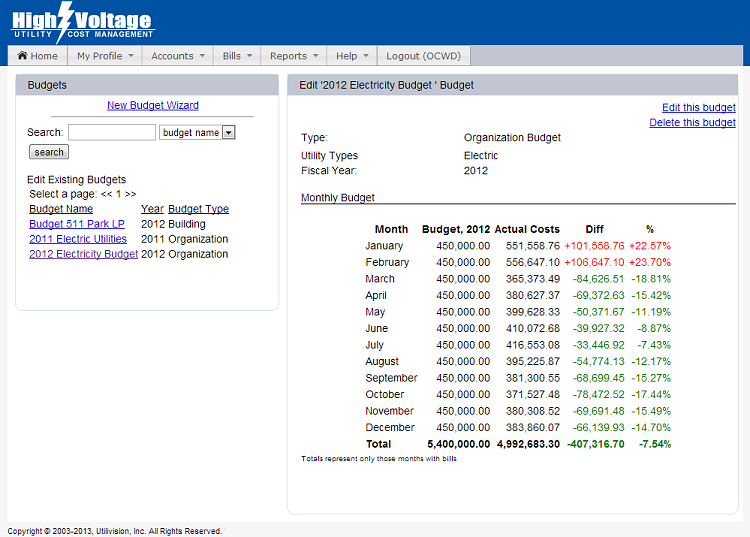 The Budgeting Wizard allows you to forecast utility budgets for one or more accounts or an entire organization comparing forecasts and actual results. 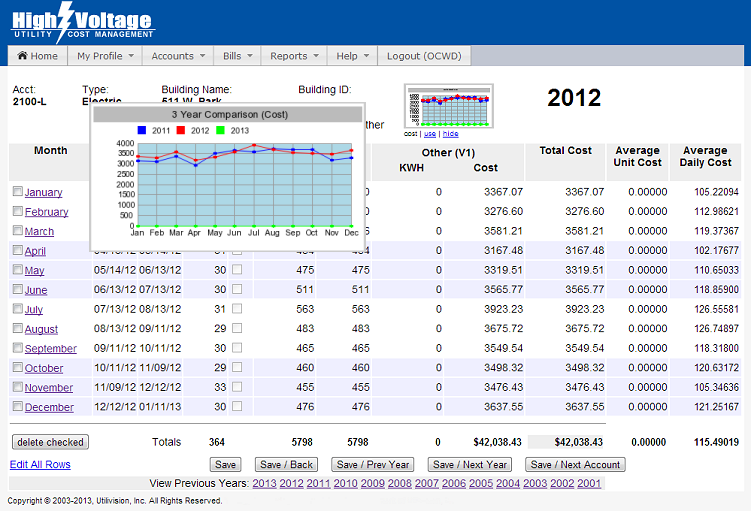 Cost per Square Foot reporting allows you to review annual and year over year results. Billed vs Registered Demand focuses on areas for operational improvement with a critical cost component on every end use customer’s invoice. 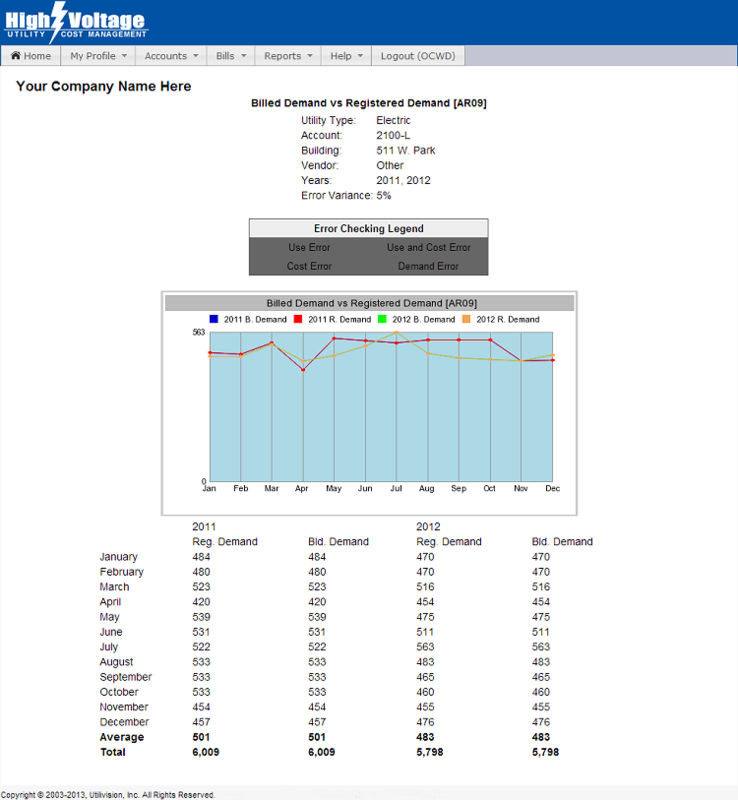 Reporting data and graphs measure current results and trends over the past 3 years of operation. Building Cost per Square Foot provides valuable insight to cost structure and potential competitive advantages. 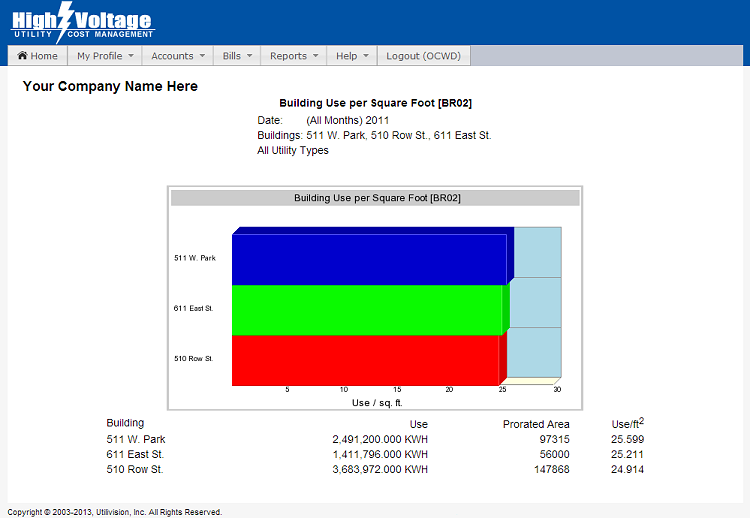 Building Use per Square Foot reporting provides consumption and efficiency data to benchmark areas for improvement. 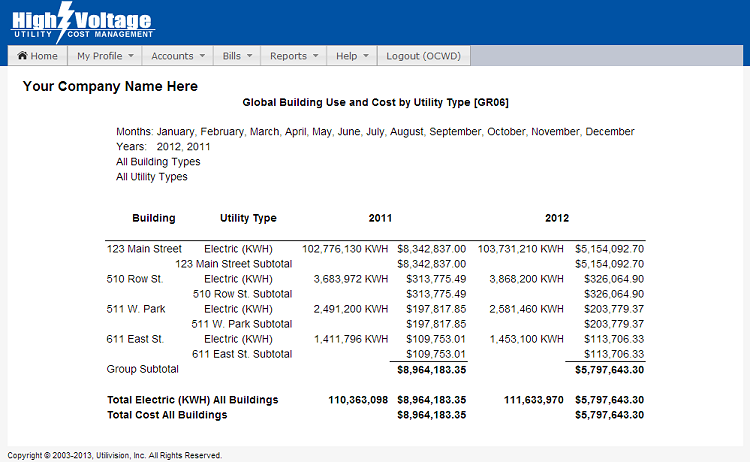 Global Building Use and Cost provides detailed reporting by utility type.